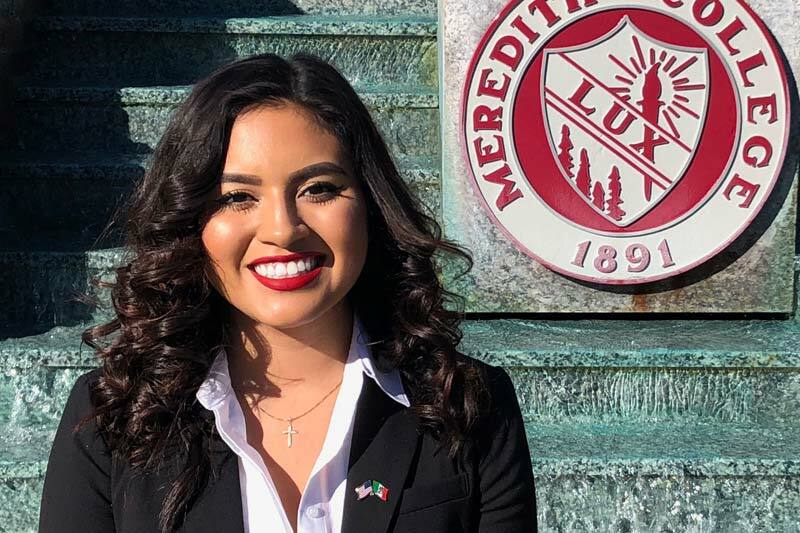 Double majoring in Spanish and communication as well as minoring in pre-law, Andressia plans to further her education by going to law school to pursue her dream. Andressia is also a proud member of Alpha Lambda Delta Honor Society, Sigma Delta Pi Spanish Honor Society, and Lambda Pi Eta Communication Honor Society. With her desire to go into the field of law, Andressia has benefited most from participating in Moot Court. “Moot Court has aided me in terms of learning how to write and present arguments to judges while effectively defending my case,” said Andressia. Dedicated to empowering Latina women, Andressia is the co-president of La Tertulia Spanish Club and the leader of LaFe, a branch off of Intervarsity where students learn about their identity and culture while connecting with a group of women who share a profound belief in Jesus Christ. Greatly influenced by Spanish faculty member Jonathan Wade’s passion for the Spanish language and admiration of the literature, Andressia decided to study abroad in Spain at the University of Santiago de Compostela during the summer of 2018. Excited about challenging the proficiency of her Spanish skills and experiencing a new culture, Andressia immersed herself in the experience, finding a newfound love for literature and history. Another faculty member who has had an impact is Assistant Professor of Political Science Whitney Ross Manzo. Andressia was challenged by Manzo in every class to rise above her own expectations and achieve more than she ever thought she could. The experience shaped Andressia into the strong confident woman that she is today.